I and my husband were devastated and I used to cry while praying to Baba. I started praying to our beloved Sai to bless me with a kid; meanwhile I also started doing yoga and eating healthy. On 20th Dec, 2017, I did pregnancy check at home and saw the results to be positive. This miracle was possible only with blessings of our own beloved Baba. Thank You so much Baba. After the 5th month scan during my pregnancy, the doctor saw that my blood was little thick and so the blood flow to the baby from the left artery of the umbilical cord was very low. Hence, the doctor advised that I need to take blood thinning injection daily till my delivery so that the blood supply to the baby is proper and baby's growth is not hampered. By Baba’s grace we got to know the issue and started taking injections daily. It was because of Baba Who gave me strength throughout and was next to me while I was taking injections each day as I used to feel Him just next to me while I was taking injections. I feel lucky that I have Baba in my life and by my side always and being a part of this Mahaparayan I feel more blessed (member of MP 46 group roll#32). Thank you Geetaji and all the people who are associated and are part of this Mahaparayan. Sai will fulfill everybody's wishes; we just need to have faith and patience. Sai Ramji to All! Riaji thanks for sharing the wonderful post to strengthen the faith of many. Today I was thinking since long no post for pregnancy through Baba’s blessing on Mahaparayan blog and when as per sequence took yours it was all about it. Baba really works mysteriously! Not only this; my son’s name is also Saiesh and this name we had not heard until he was born in 2013 (October month and day Thursday) when suddenly this name flashed on its own. But the foolish me said although it’s a nice name clearly indicating its meaning but would name him so only if I find that it holds some meaning. I googled and was shocked to find these words Sai Ka bacha (Sai’s Child). Today with your post, I was equally shocked with Baba’s ways for His instincts and relevance in my life too. Love You Deva. Thanks for everything. Jai Jai Ho Sai. Very beautiful experience and also thanks for explaining the meaning of Saiesh. Lovely and wonderful experience ria ji and equally beautiful note pooja ji thanks both of you just kept me smiling whole heatedly by both of your sai-incidence of naming SAIESH as kids name. Om sai ram. I am undergoing same sort of problem (poor amh) and that normal conceiving would be a miracle.. was under medication for long time now let everything and praying to baba only.. going thro this experience has given me lot of strength and abundant joy.. I am sure that Baba will help me get of this problem and I will be blessed with a baby soon.. Om Sairam.. Thanks for sharing this experience Sairam.. and 1 day I will share my own experience as well after successful pregnancy with Baba's blessings..
s baba will surely bless you as he blessed me. Sai ram ji!! Sai will surely bless you as he blessed me. Sai Ram Ji!! SaiRam �� I am going through same situation and in my case conceiving naturally would be miracle.But praying to baba to shower his blessings on me.I have full faith in him. Thanks for sharing your testimony, it strengthened my faith in Baba. 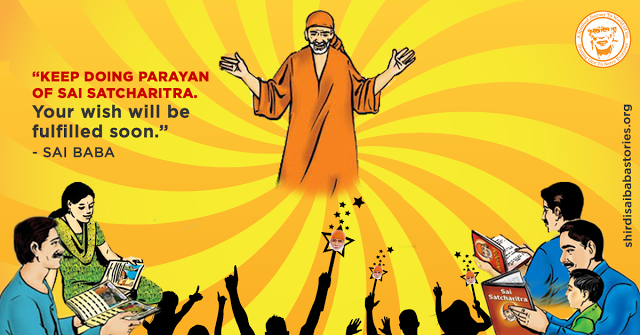 Sai baba's miracles are endless. We only have to trust him and wait patiently.he will never leave us. Congrats Ria. Lovely name Saiesh. Keep Faith in Sai going. OM SAI RAM.